Retrouvaille is a registered charity. We welcome any donation, large or small. (*) Please note that the volunteer couples views do not necessarily represent those of the organisation. Does your marriage bring you joy... or is it breaking your heart? 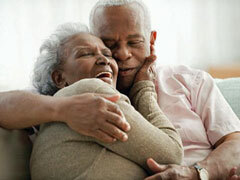 Retrouvaille is the name of a programme designed to help heal and renew marriages. The word Retrouvaille, simply means 'rediscovery'. The programme offers the chance to rediscover yourself, your spouse, and a loving relationship in your marriage. Anxious about your marriage relationship? Feeling lost, alone or bored in your marriage? Feeling disillusioned or distant from your spouse? Frustrated, hurt or angry with your spouse? Finding that talking about it only makes it worse? Unable to see how to change your situation? The Retrouvaille programme can help you rediscover each other in a new and positive way. It is for couples who finally realise that the pain and problems in their relationship will not ease unless they are willing to work at it themselves. "We had drifted apart, living like strangers. Our love was buried under bitterness and anger. We rarely talked and mostly tolerated one another. Thanks to Retrouvaille we were able to begin again." If your marriage needs re-focusing, please call us. Help is available. If you and your spouse want your marriage to work and are willing to put in your best effort - then we invite you, even urge you, to attend. If you are thinking of separation or divorce or you are already separated, but want to try again - then we believe Retrouvaille can help. If you know of a couple who might need help, please tell them about Retrouvaille and encourage them to contact us. They are probably desperately looking for help and don't know where to turn to find it. Broadcast on 15th December 2010 on the John Murray Show, RTÉ Radio 1 (30m:16s).